Below is a list of monographs and general chapters that are new, or that have been revised, corrected or deleted for the 9th Edition (supplement 9.2). The implementation date is 1st July 2017. General revision to restructure the text and eliminate unnecessary repetition. The requirements for accuracy and repeatability of the instrument have been changed. Introduction: the wording ‘very steep dose-response curves’ has been changed to ‘very steep or non-linear dose-response curves’ as the latter better characterises the responses when non-endotoxin contaminants are present. Definitions: clarification added that calculation of the maximum valid dilution (MVD) is based on the endotoxin reference standard; the possibility of using an estimated limit of detection (LOD) based on historical data when calculating MVD has been introduced. Cell sources and qualification - Additional cross-references to sections relating to the qualification of cells according to their origin, preparation and/or intended use (i.e. for the detection of endotoxin and/or nonendotoxin contaminants) have been included in sections 5-1, 5-2, 5-4, 5-5 and 5-6. Section 5-4. Qualification of cells pooled from a number of donors: a caution statement has been added regarding the need to consider the averaging effect when cells are pooled. Section 5-5. Qualification of cryo-preserved cells: the repetitive description regarding the preparation of cell pools has been deleted. Section 6-1. Assurance criteria for the endotoxin standard curve: numerical example provided to illustrate the term ‘as low as possible’, which defines the blank. Section 6-2. Test for interfering factors: text revised so that the concentration of added endotoxin in the preparation or the diluent is to be justified and can be estimated before starting the test. In Method C, it is stated that the type of analysis used to compare the test and reference lots must be justified and validated for each preparation, that assay validity criteria are to be included and that the dilutions tested depend on the type of analysis used. In addition, more information is given on how to test preparations with an inherently high pyrogen content. Section 6-3. Method validation for non-endotoxin monocyte-activating contaminants: text revised to note that during preparatory testing, at least 2 non-endotoxin ligands for toll-like receptors must be used to validate the test system, 1 of which is also used to spike the test preparation, and that the choice of non-endotoxin pyrogens used should reflect the most likely contaminant(s) of the test preparation. In addition, more information is given regarding the available ligands that can be used. Methods: Section 7-1-1. Method A, Test procedure: regarding the qualification procedure applied to monocytes of different origin, the term ‘qualified cells’ has now been introduced throughout the text. Changes to Table 2.6.30.-1 have been made so that all 3 test solutions (A, B and C) are to be spiked and not just the highest concentration. Solution D has therefore been deleted and replaced by solutions AS, BS and CS (i.e. spiked solutions A, B and C). Section 7-1-2. Calculation and interpretation: text reworded to reflect the changes in Table 2.6.30.-1. In addition, the text now states that dilutions with an invalid spike recovery are deleted from further analyses and that at least 1 valid dilution is required for a valid test. Section 7-1-3. Pass/fail criteria of the preparation: conditions for the use of monocytic cell lines have been deleted. Section 7-2-1/2. Method B, Table 2.6.30.-2: text updated accordingly, as above for Method A. Section 7-3. Method C. Reference lot comparison test: although there is flexibility on the type of analysis used, the analysis must be justified and validated for each product and is to include assay validity criteria; the text has been changed to reflect this. A statement has also been included to emphasise that the description of the test method includes just an example of a type of analysis which could be used. Section 7-3-2. Calculation and interpretation: numerical example provided to show a possible acceptance value. 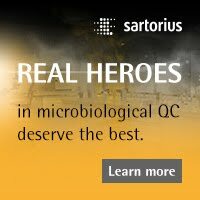 non-responders along with low and high responders to a particular product/contaminant(s) combination(s). Section 2-5. Cross-validation has been added. Regarding the presence of non-endotoxin pyrogens in the product, a recommendation to perform cross-validation of the monocyteactivation test together with the bacterial endotoxins test has been introduced. 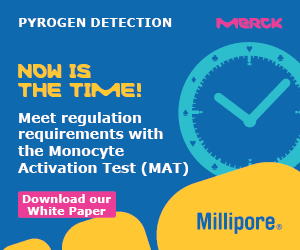 In the context of the 3Rs, the rabbit pyrogen test can be performed for cross-validation purposes where the monocyte-activation test cannot be validated. A new entry has been included in Table 2.6.30.-4 for ‘Parenteral formulations administered per square metre of body surface’, in accordance with the recently revised general chapter 5.1.10. Guidelines for using the test for bacterial endotoxins. This text has undergone a general revision and has been completely rewritten. The sections on the different sterilisation processes, where appropriate, now have the same format: principle, equipment, sterilisation cycle, cycle effectiveness and routine control; where required, specific information has been added. Sterility assurance level: the reference to exponential inactivation has been removed as membrane filtration is not a first-order process. Steam sterilisation: modern concepts for validation have been added. Dry heat sterilisation: a wider description of the suitable equipment has been provided. Ionising radiation sterilisation: the reference to European Notes for Guidance has been removed. Gas sterilisation: 2 types of agents are defined: alkylating agents and oxidising agents; the establishment of the cycle effectiveness has been described in more detail. 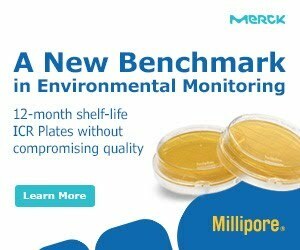 Membrane filtration: the description of the microbial challenge test has been moved to general chapter. Aseptic assembly: freeze-drying under aseptic conditions is added. The general chapter has undergone significant revision as listed below. Title: it has been adapted to take into account microbial preparations used for sterilization grade filtration. Introduction: describes when biological indicators (BIs) are intended to be used and what is outside the scope of the general chapter, including that BIs are in most cases only to be used for development of the sterilisation process and are not to be employed for routine monitoring unless otherwise stated in this general chapter. A definition of BIs is given and the processes in which they can be used are described. Importantly, the Introduction section introduces the concept of the use of reduced sterilisation process conditions in order to ensure the validity of the sterilisation process. It is also made clear that there should be no surviving microorganisms when the biological indicator is subject to a full sterilisation process. BIs for sterilisation processes: this section gives guidance on how BIs are selected and how they are used to characterise sterilisation processes. A description is provided of 4 types of BIs for sterilisation processes: inoculated carriers, self-contained BIs, characterised spore suspensions and custom-made BIs. Information regarding the quality requirements for BIs and user requirement specifications have been introduced. BIs for heat sterilisation: the parameters of BIs for heat sterilisation are described and how a validation cycle is established. 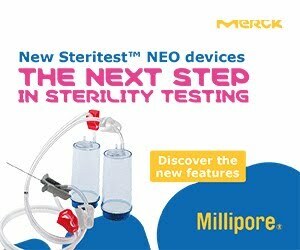 Further information on biological validation with reduced sterilisation cycles has been included. BIs for gas sterilisation: this section sets out that the use of gas sterilisation for disinfection is outside the scope of the general chapter. There are a number of different types of gas sterilisation processes and no reference cycles, therefore no criteria to which the BIs shall comply have been defined. Suitable micro-organisms for ethylene oxide sterilisation are given. It is, however, the responsibility of the user to define the cycle and the suitability of any BI used. BIs for ionising radiation sterilisation: it is recognised that BIs are not considered to be necessary for defining the suitability of the radiation sterilising dose, but their use may be required for the development and validation of ionising radiation sterilisation in specific cases. Information on test micro-organisms is given. Microbial preparations for sterilisation grade filtration: information on test microorganisms is now given for the validation of retention of micro-organisms using a membrane. Indicators for depyrogenation processes: this section has been removed from this general chapter and will be published elsewhere in the Ph. Eur.